Now this is a family very serious about photography! Even grandma had a camera. They were having such a good time taking turns for their group shot. One of the shots had them all pointing their cameras back at the camera on the tripod! Before anyone asks, no, I don’t know these people. But I did enjoy watching them enjoy the bluebonnets. 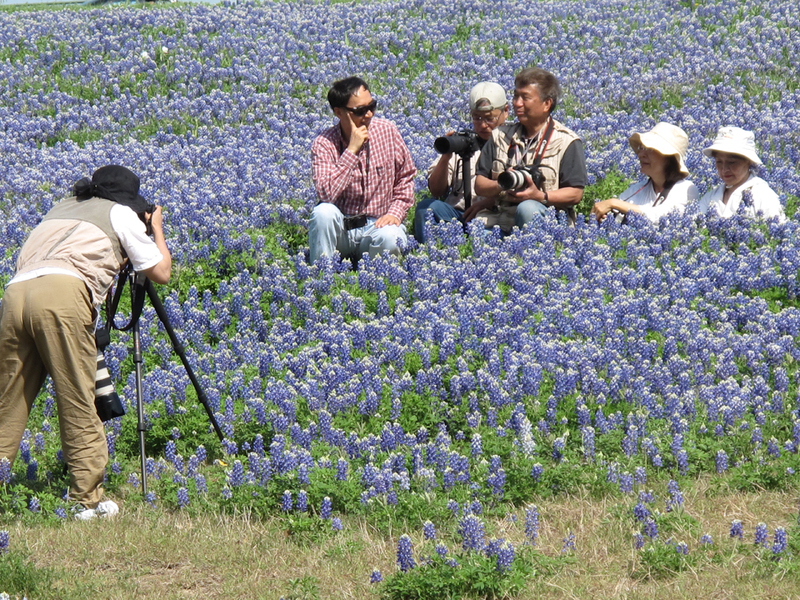 And in case you are wondering, I still have LOTS of bluebonnet photos left. I want to use just a few more before I leave them behind.